Steps Ahead Dance Studio Performs at the World's Most Famous Arena! Did you ever wonder what it would be like to dance on the court at Madison Square Garden at a Knicks game? To feel the roar of the crowd, to look up and see the massive arena, to perform in front of celebrities like Spike Lee and Tracy Morgan, and to hear your name announced on the boisterous P.A. system? Well, On Sunday, April 3, 2016, dancers from Steps Ahead Dance Studio, in Ozone Park found out what that was like! 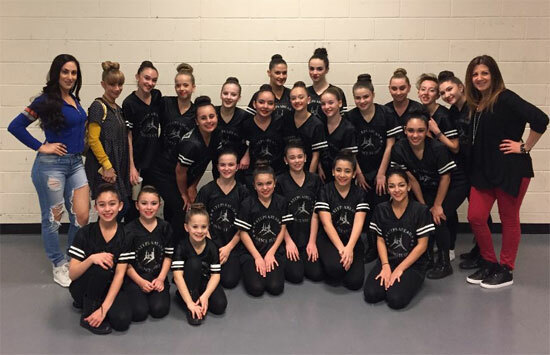 The 22 talented dancers, dressed in their studio jerseys and sparkle combat boots took to the floor at The Knicks vs. Pacers Game at MSG and performed two original dances choreographed by the amazing teachers at Steps Ahead. The two dances, one jazz funk and the other hip-hop, wowed the crowd during the pre-show festivities, and clips were shown on TV on the MSG network. To dance at MSG is such an honor and was truly a proud and memorable moment for all of the SADS family, one that we will never forget. This evening was the culmination of a long process to be selected to dance at the famed arena. After the performance, our Steps Ahead Family took to the stands to cheer on the Knicks during the game.